The Anslem Peters scholarship Fund (APSF), made its 9th Annual Award Presentation on Thursday, 17 September 2015, at the Gouyave Public Library. The awards were made to the 4 students already sponsored, and 3 new students starting this school year. Furthermore, completion certificates were issued to the 3 students that have exited and have benefited from the program over the 5 years. The sponsor of the scholarship program is Mr Anslem Peters, the son of Mr Cuthbert Peters. Mr Anslem Peters now resides in Brooklyn, New York and makes the journey to Grenada on a yearly basis to meet with the students, to get information on their performance over the last school year, and to make the presentations in conjunction with the management committee. The program does not support failing grades and a recipient may lose sponsorship because of non-performance. To date, APSF has assisted 15 students from the primary schools of St John to attend Secondary Schools in St John, St Mark and St George. They have since graduated 8 students over the period. 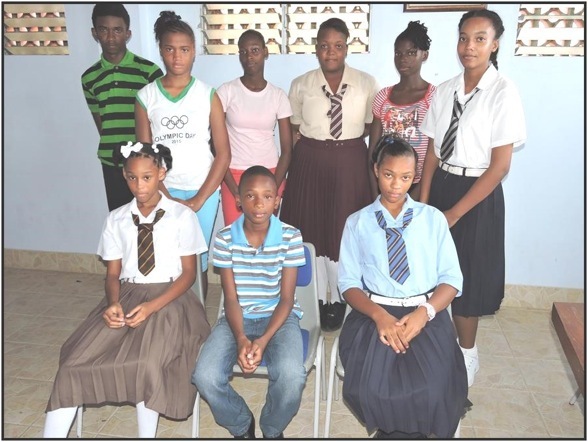 Its most recent graduates are Nazim Phillips, Kieshonna Passee and Amayia Fletcher; Phillips and Passee got 100% passes at the CSEC with excellent grades and attend St Mark Secondary and Anglican High School, respectively. The 3 new recipients are from the following schools: St Peter’s Roman Catholic., St John’s Anglican, and Florida Government; and are at Happy Hill Secondary, St Rose Modern Secondary and St John’s Christian Secondary respectively. Their names are Shannon Ghatt, Kimon Sanderson, and Tamisha Mitchell. 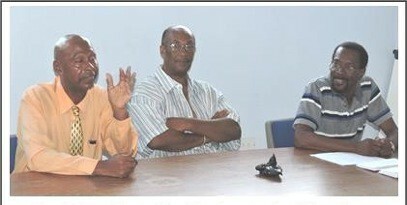 Mr Peters is from St John’s parish and attended the Grenada Boys’ Secondary School. His commitment to the development of St John goes beyond his Scholarship Fund.